Do you dream of a local church that is healthy and growing? Do you dream of unity across racial lines? Do you dream of those “greater works” that Jesus talked about, or victory in a particular spiritual battle? 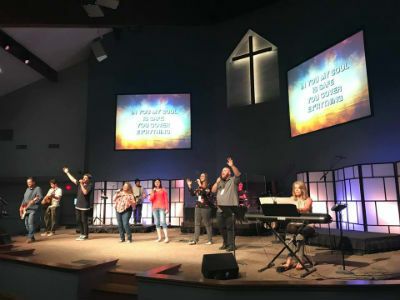 Wednesday, Day Two of the Church of God Regional Convention in Safety Harbor, Florida, was a day of rekindling the fire, reclaiming the passion, and resurrecting dreams once lost in a world prone to busyness, burnout, and a blurring of what matters most. But Terry reclaimed what hell had stolen. He and Bayside Community Church began dreaming again, and dreaming big. Now in the midst of an incredible turnaround, the church has been able to pay down debt and renovate. 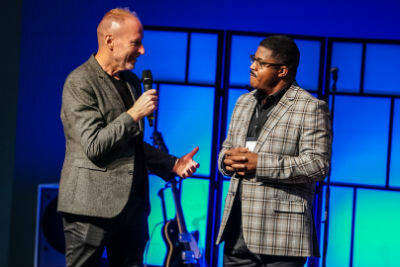 As Terry’s words resonated throughout the room Wednesday morning, listeners observed firsthand the newly renovated sanctuary—the realization of a dream. “When the people of God begin to dream again and step out, God will unleash resources you have no idea about!” he exclaimed. Terry Rolen preaching on Wednesday morning. 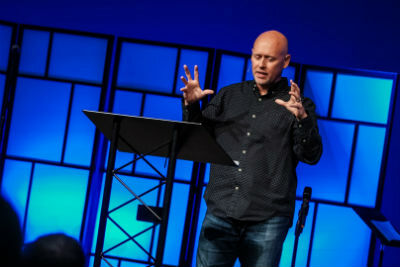 In the afternoon, Kevin Earley charged the saints to engage again in the spiritual battle, using 2 Timothy 2:3–4 as his primary text. Though the Word of God is clear that God’s church is victorious over the enemy, too many believers walk around defeated—and deflated. Through “Rev. Kev.” listeners heard and embraced life, reclaiming the dream that victory over the forces of hell is not only possible, but ultimately inevitable. Adventure returns to the Christian relegated to the sidelines when the battle is reengaged; there’s real life as a soldier for Christ! Jim Lyon and Paul McAllister on Wednesday afternoon. Convention information, including details about Orlando 2019, is available online at www.chogconvention.org. This entry was posted in All Church of God, Church of God Convention, Southeast and tagged 2018, abundant life, Bayside Church, Bayside Community Church, Brad Lomenick, CHOG Convention, Church of God Convention, dream, dreams, Embrace Life, FL, Florida, Give Life, Hear Life, Jim Lyon, Jo Anne Lyon, Kevin Earley, Paul McAllister, racial reconciliation, recap, Receive Life, Reconciliation, Safety Harbor, Safety Harbor Regional Convention, speak life, Terry Rolen, unity, vision, Wednesday. Bookmark the permalink.